Botanique, selling out all 230 terrace homes within 12 months of its launch to the market. Owner occupiers and interstate investors have been quick to purchase terrace homes Botanique with the $130 million sell-out demonstrating Robina’s reputation as one of Gold Coast City's leading property hot spots. All homes sold in Botanique were sold off-the-plan for an average of $552,000, with construction well underway on stage one and due for completion before the end of May 2016. New research by demographer Bernard Salt and independent property analyst Urbis Research shows Robina is poised to be one of Gold Coast City's prime growth precincts over the next 35 years, with a phenomenal expansion of both its population and employment bases predicted. The Robina Group sales manager Azura Griffen said Robina was attracting strong interest from right around Australia, with buyers looking to invest in an area with strong growth potential. Ms Griffen said growth would be driven by Robina's central location, established infrastructure and abundance of recreational options. "People see the value of investing in Robina, which already has so much to offer, with even more to come," she said. "There is a growing trend toward more compact, low maintenance properties that offer true walkability and put the emphasis on lifestyle. 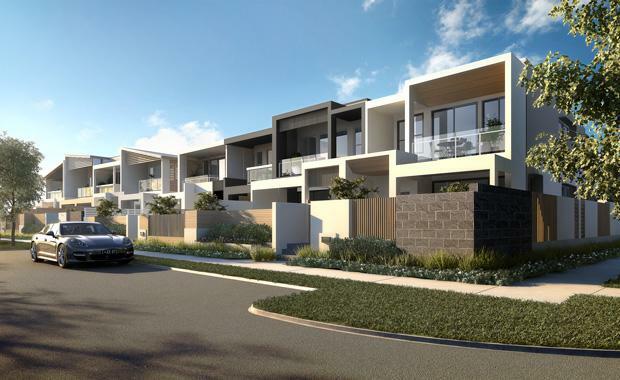 "As a result of this shift, demand for terrace homes in central Gold Coast City has outpaced supply and the quick sell-out of these communities is a prime example." The Urban Developer is proud to partner with Robina Group to deliver this article to you. In doing so, we can continue to publish our free daily news, information, insights and opinion to you, our valued readers.